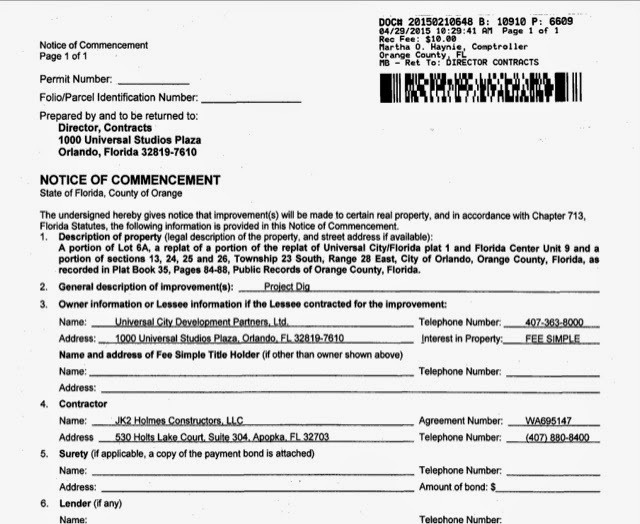 As spotted by Jay from PixelsAtTheParks.com, Universal Orlando Resort had applied for a permit for Project Dig. Is it for Volcano Bay? Raptor show in Jurassic Park? We'll post more as we find out.